Coconut oil is loaded with good fats that provide us with energy, able to fight microbes in the body and excellent for cooking. It even smells amazing! But did you know that coconut oil for skin is also a thing? That’s right, you can reap coconut oil’s benefits from the outside-in. It is an excellent conditioner and helps the re-growth process of damaged hair. It also provides the essential proteins required for nourishing and healing damaged hair. 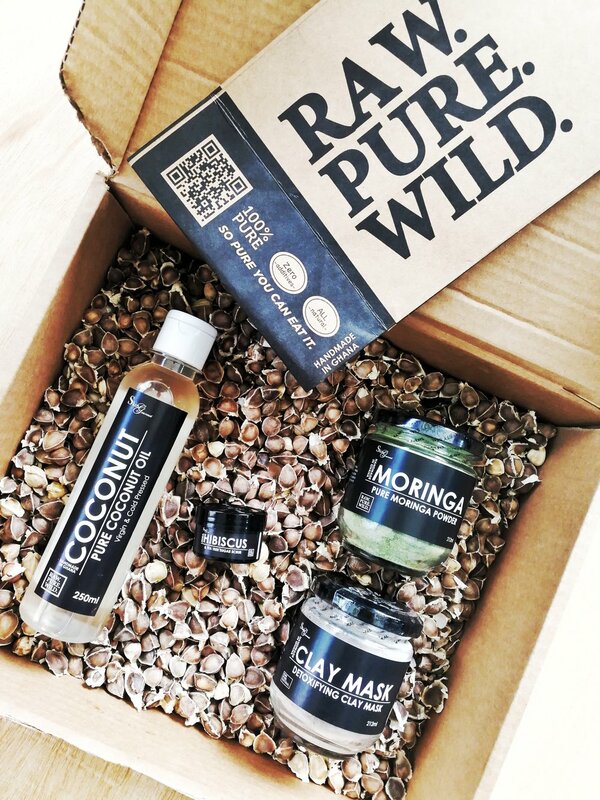 Research studies indicate that coconut oil provides better protection to hair from damage caused by hygral fatigue. Coconut oil pulling is one of the best ways to remove bacteria and promote healthy teeth and gums! Used primarily in Ayurvedic medicine, oil pulling is a fantastic oral detoxification procedure that is simply done by swishing a tablespoon of oil (typically coconut oil, olive or sesame oil) in your mouth for 10-20 minutes. Unlike most other oils, coconut oil has a high melting point – about 24 to 25 degrees Celsius or 76-78 Fahrenheit. Therefore it is solid at room temperature and melts only when the temperature rises considerably. If you are using coconut oil for topical purposes, especially hair care, just melt the oil (if it is solid) by keeping the bottle in the sun or soaking it in warm water. You can also take some oil out and put it in a small bowl and heat the bowl over a flame (don’t use a microwave). Then, take the oil on your palm and apply it to your hair. If you want to use it for internal consumption, simply replace butter or vegetable oils with coconut oil in your recipes. Damaged hair? We've all been there. Blow dryers, products, and weather take a toll on our locks, so we've decided to share a coconut oil and honey hair mask, which is perfect for repairing and moisturizing damaged hair. Mix the ingredients together and as an extra step to help your hair follicles open up, slightly heat the mixture up on a stove top in a small sauce pan. Long or extra damaged hair? Just add a bit more of these ingredients. The mask can be applied to dry or wet hair, although we've found that it's easier applied to wet hair. Have a towel around your neck to protect your clothes and section your hair off. Apply generously from top to bottom, focusing on the ends where most damage occurs. And while a glass jar of coconut oil isn’t a problem when you’re at home, who has the space (or arm strength) to carry it on the go? Try these DIY coconut oil makeup remover wipes using the raw stuff, like Skin Gourmet's Cold Pressed Coconut Oil. Coconut and turmeric coupled together make a good acne-fighting face mask, due to their anti-inflammatory properties. Banana hydrates and moisturizes skin. Banana - Hydrating and moisturizing. Lightens skin tone. Reduces visibility of acne scars and blemishes. Fights wrinkles and fine lines. It also smooths out rough skin. Tumeric - Acts as an anti-inflammatory agent. Has antiseptic, antibacterial, and anti-aging properties. Fights off acne and pimples. Lightens and brightens dull skin. Evens out skin discolorations. Step 1: Mash up 1/2 ripe banana using the back of a fork. Step 2: Stir in the coconut oil and turmeric to form a consistent mixture. Step 3: Slather the mixture onto your clean face. Let it settle for 15 minutes. 1. To melt coconut oil, use a hair dryer or simply place the coconut oil container in a bowl of hot water (if it has solidified). 2. Select ripe or overripe bananas so that its easier to mash into a lump free paste. 3. Turmeric will not stain your face yellow since we're using just a pinch. It will stain your fingernails, though. To remove the yellow stains, use a nailbrush and a teaspoon of lemon juice. Scrub gently for a minute and enjoy your exfoliated nails! Skin Gourmet's Cold Pressed Coconut Oil contains antioxidants which stave off free radical damage. Our coconut oil also offers sun protection and has an SPF of about 5. Avocado will hydrate and moisturize skin, while nutmeg will gently exfoliate acne-prone skin and prevent further breakouts. Avocado - Protects against free radicals, slowing down the aging process of the skin. Nourishes and hydrates skin cells. Nutmeg (or Chai Seeds) - Gently exfoliates skin. Step 1: Remove the skin from your quarter avocado. Place the avocado in a bowl and mash it into a smooth paste. Step 2: In the same bowl, stir in the coconut oil and nutmeg until you get a consistent mixture. Step 3: Apply a thick coat of the mixture onto your face with circular motions. Step 4: Let it settle for about 15 minutes. Step 4: When the time is up, rinse off the mask with cool water or a warm washcloth. Pat dry with a clean towel. Coconut oil is antibacterial, antimicrobial, and anti fungal! Studies have shown that coconut oil destroys the bacteria that can cause tooth decay. The other primary ingredient in this toothpaste is baking soda. Baking soda is a very mild abrasive which aids in cleaning and whitening teeth, and restoring pH balance. Step 1: Melt or slightly soften coconut oil. Step 2; Mix in other ingredients and stir well. If using semi-hard coconut oil, use a fork, if not, use a spoon. If you are using completely melted coconut oil, you will need to stir several times while the mixture cools to keep the baking soda incorporated. Step 4: Let cool completely. Skin Gourmet's Detoxifying Clay binds to unhealthy substances in the mouth, such as around the teeth and on the tongue and gums, and helps to remove them before you swallow them and become sick. Because of Skin Gourmet's Clay antibacterial properties, it has been used in natural toothpastes and even mixed with water and used as a daily rinse. Step 1: Combine 3 - 4 Tablespoons of water with Skin Gourmet's Detoxifying Clay in a non-metal bowl and mix well using a non-metal spoon (the clay should never come in contact with any metals). Step 2: Add Tea Tree Essential Oil, Skin Gourmet's Wild Northern Honey and 10 drops of desired essential oil (peppermint, lemon or orange). Mix well. Step 3: Add a pinch of salt, mix well and taste. Step 4: Add additional Wild Northern Honey and/or peppermint essential oils and/or water to taste and texture, adding oils one drop at a time and water 1/2 Tablespoon at a time. Tip: The flavors will meld together over time, so wait 48 hours before making significant adjustments to the flavor.